net income of $3.1 billion or $0.63 per share. Due to the recently passed tax reform legislation, Cisco took a $11.1 billion charge. Cisco has declared a quarterly dividend of $0.33 per common share, a 4-cent increase or up 14% over the previous quarter’s dividend. Cisco’s board of directors has also approved a $25 billion increase to the authorization of the stock repurchase program. GAAP total gross margin and product gross margin were 63.1% and 61.5%, respectively. Product gross margin increased compared with 61.1% in the second quarter of fiscal 2017. The total customer base for Catalyst 9000 switching platform more than doubled to reach over 3,100. There was $5.5 billion in deferred revenue from recurring software subscriptions, up 36% yoy. Qualcomm introduced an LTE modem supporting up to 2 Gbps download speeds, pushing 4G to new performance levels. The Qualcomm Snapdragon X24 LTE modem is the industry's first-announced chip built on a 7 nanometer FinFET process. It is also Qualcomm's eighth generation LTE multimode modem and third generation Gigabit LTE solution and the world’s first commercially announced Category 20 LTE modem. The Qualcomm Snapdragon X24 LTE modem delivers 2x the speed of the Company’s first generation Gigabit LTE modem. The Snapdragon X24 supports up to 7x carrier aggregation in the downlink, as well as 4x4 MIMO on up to five aggregated LTE carriers – both mobile industry firsts – for a total of up to 20 concurrent spatial LTE streams. Qualcomm said mobile operators could allow devices that feature the Snapdragon X24 LTE modem to utilize all spectrum assets available whether in licensed spectrum or with License Assisted Access (LAA). Additional system capacity improvements are made possible through support of Full Dimension Multi-Input Multi-Output (FD-MIMO), a Massive MIMO technology that is foundational to future 5G NR networks. In the uplink, Snapdragon X24 supports Category 20 upload speeds, 3x20 MHz CA and up to 256-QAM. One additional feature, the Snapdragon X24 LTE modem brings support for the concurrent multi-constellation multi-frequency global navigation satellite system (GNSS). The chip is currently sampling Qualcomm will host demos of the X24 LTE at Mobile World Congress in conjunction with Ericsson, Telstra and NETGEAR. Qualcomm is introducing a set of trusted software services rooted in its chipset architecture and designed to meet the requirements of new enterprise and industrial IoT customers to securely provision, connect and manage long life-cycles of billions of intelligent wireless devices through their cloud platforms. The idea with Qualcomm wireless edge services software is to provide predictability and security throughout a device's entire lifecycle. By rooting a trusted service within the silicon, a device can be on-boarded and managed in a predictable way. These trusted services would be exposed through new APIs and available on Qualcomm chipsets – initially its MDM9206, MDM9628 and QCA4020 – and later on, select Qualcomm Snapdragon platforms. Capabilities include plug n play onboarding, on-demand, over-the-air feature activation, emergency and routine upgrades as well as third-party service enablement throughout the device life-cycle. Large enterprise, industrial cloud providers and users could use the capabilities to provision and manage massive amounts of connected 4G and 5G devices in a trusted, security-rich and scalable manner. Qualcomm said its wireless edge services can provide strong protection against compromised devices and network attacks through hardware-based device integrity. Qualcomm cited ecosystem support from Alibaba, Baidu, Mobike, Quectel and others. Equinix reported Q4 2017 revenue of $1.200 billion, up 27% over the same period last year. 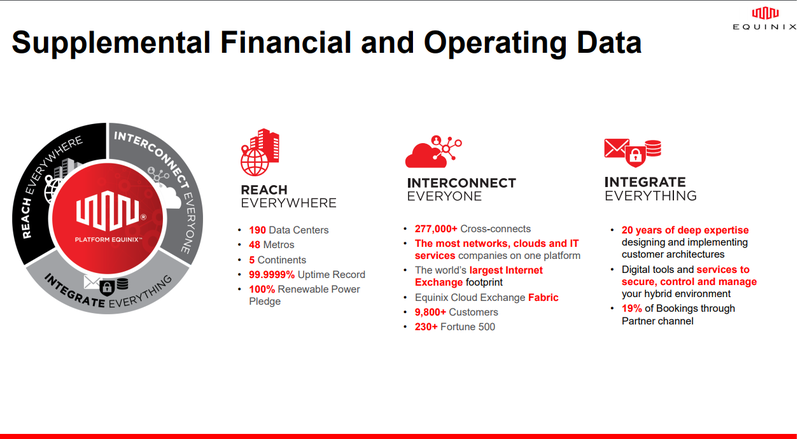 Full-year 2017 revenues amounted to $4.368 billion, a 21% increase over the previous year, including $359 million of revenues from the acquisition of 29 Verizon data centers. Net income for the full year was $233 million. 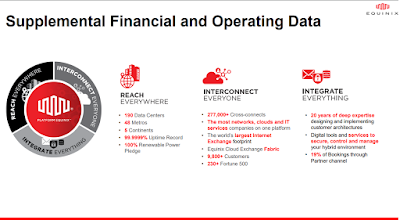 "In addition to strong financial performance, Equinix achieved a number of significant milestones around interconnection, innovation and acquisitions in 2017 that add even more value to our role as a strategic partner to companies in the execution of their digital business strategies. As we approach our 20th anniversary and reflect on what we've built, we believe our platform will become even more important for our customers in the years to come. We have a clear vision of our strategy and the opportunities ahead, and we are looking forward to another successful year," stated Peter Van Camp, Executive Chairman and Interim CEO and President, Equinix. 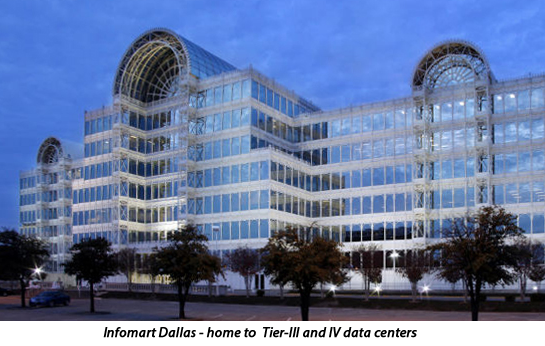 In its quarterly update, Equinix also announced new expansions in the Culpeper, Houston, London, Paris, São Paulo, Silicon Valley, Sofia and Washington, D.C. metros totaling more than $500 million of capital expenditures. 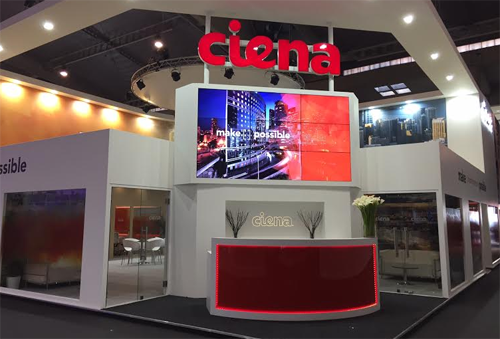 Ciena announced a series of enhancements to its product set to help operators scale their current 4G networks, while simultaneously preparing for the impending evolution toward 5G. "With expected 5G performance gains ranging from 1,000 times the volume of data to ten times the reduction in latency, operators need to prepare their end-to-end wireline network now. As the industry leader in coherent optical, edge packet platforms, automation, and multi-domain service orchestration, Ciena is uniquely positioned to support operators through every step of their multi-year journey to a common wireline infrastructure that supports 4G and beyond,” stated Steve Alexander, Chief Technology Officer, Ciena. 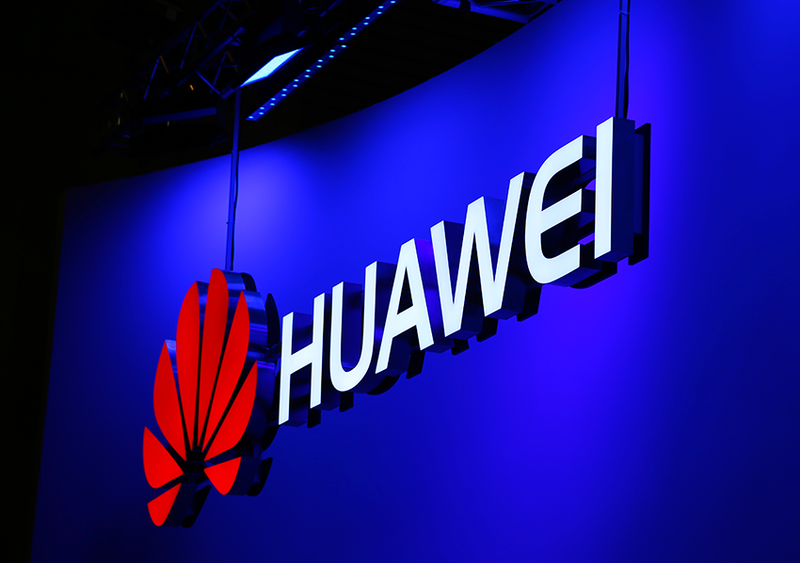 Huawei launched an end-to-end user trial for “Wireless to the Home” (WTTx) 5G service using a specially-designed 5G CPE (Customer Premise Equipment) unit in downtown Vancouver.. The trial is being conducted as a “5G Living Lab” in collaboration with TELUS. Initially, the 5G fixed service is being delivered to the home of TELUS employees. "mmWave technology will be an important tool in ensuring widespread deployment of 5G technology in Canada. 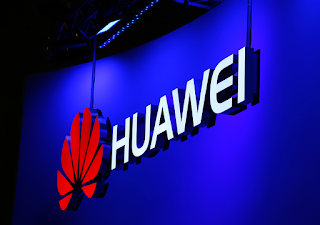 Huawei’s 5G solutions and terminals will enable 5G coverage over a neighbourhood or small community cost effectively, while providing more convenient and high-speed home broadband Internet access services." said Dr. Wen Tong, Huawei Fellow, and CTO Huawei Wireless, "This friendly user trial will drive the global 3GPP unified 5G standard and build a solid foundation for the 5G early commercialization." CommScope introduced new antenna models that support 4xMIMO (4T4R multiple input/multiple output), advanced modulation and carrier aggregation of unlicensed frequency bands. Late last year, CommScope introduced a 4xMIMO, ultra-wideband antenna for the 1400 MHz–2700 MHz range. The company has also released an extensive antenna portfolio for FirstNet operating in the 700 MHz band. The company continues to add antennas to its portfolio that support different frequency band combinations in 4-, 8- and 12-port configurations, with 4xMIMO support on both low and high bands. CommScope also offers a high gain, small cell antenna with 4xMIMO functionality in the 1.7–2.7 GHz and 3.5 GHz bands, plus 2x2 MIMO support in the 5 GHz band. CommsScope said this antenna enables operators to use carrier aggregation for License Assisted Access (LAA) to combine unlicensed bands with licensed bands to reach gigabit speeds at small cell sites. This antenna will also help operators be ready for Citizens Broadband Radio Service (CBRS). CommScope also introduced an integrated antenna solution based on xRAN open interface specifications. The 5G radio/antenna solution supports millimeter-wave spectrum and works on a completely virtualized baseband with an open interface. This solution integrates a beamforming active antenna array operating at 28 GHz and will be available for trial with a third-party baseband platform to create a high performance and highly flexible 5G access network. In testimony before the U.S. Senate Select Committee on Intelligence, five senior national security officials from the CIA, NSA, DIA, FBI, and NGA each said the equipment and services from ZTE pose a significant risk to government users and to U.S. national interests. The testimony centered on the questions of values, of proximity to the Chinese government, and of establishing positions of power in the market rather than on technical merits or specific security threats posed by equipment from these vendors. Will mobile networks be ready for Waymo's driverless ride-hailing service? 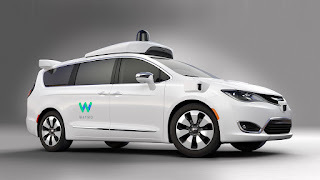 Fiat Chrysler Automobiles (FCA) has confirmed an order for several thousand of the Pacifica Hybrid minivans to be delivered to Waymo, the autonomous car subsidiary of Alphabet (Google's parent company) this calendar year for deployment in several U.S. cities. Although the actual size of the order was not disclosed, it is believed to be between 3,000 and 10,000 autonomous vehicles. You may have already seen driveless Waymo minivans on the streets in live testing. Last year, FCA delivered 500 of the Pacifica minivans, adapted for self-driving, to Waymo for the test fleet. An earlier batch of 500 Pacificas was delivered in late 2016. The vehicles have racked up over 4 million miles (6.4 million kilometres) of testing on U.S. streets so far. With this order for thousands of self-driving Waymos, the prospect of a commercial launch is in sight. For mobile network operators, this could be a golden opportunity. The question is whether mobile operators are bidding for this business. "With the world's first fleet of fully self-driving vehicles on the road, we've moved from research and development, to operations and deployment," said John Krafcik, CEO of Waymo. "The Pacifica Hybrid minivans offer a versatile interior and a comfortable ride experience, and these additional vehicles will help us scale." Although we do not know which mobile operator(s) Waymo has been working with, we do know that the connection from vehicle to the network must be LTE at best, as none of the big four operators have 5G trial networks in place for this level of testing. Two conclusions can be drawn. (1) The autonomous vehicle R&D programs are ahead of the 5G movement. (2) the first generation of autonomous vehicles may not require 5G at all. Waymo began developing its self-driving platform in 2009. At the time it was known as Google's Self-Driving Car project and was led by Sebastian Thrun, former director of the Stanford Artificial Intelligence Laboratory and co-inventor of Google Street View. The Waymo identity was adopted in December 2016. The company remains based at the Google campus in Mountain View, California. In its 9-year of development, Waymo has worked on every aspect of its forthcoming Transportation-as-a-Service platform. Its software is perhaps the key differentiator that will set it apart from the many fast followers. It is also the subject of the ongoing lawsuit launched by Waymo against Uber regarding purportedly stolen intellectual property. Beside Fiat-Chrysler, we know that Waymo is working with a few other technology suppliers. Waymo’s cloud service provider, of course, is Google. On the hardware side, Intel has disclosed that it supplied sensor processing, general compute and connectivity technologies for Waymo's test fleet of Pacifica minivans. This includes Xeon processors, Arria FPGAs, and Gigabit Ethernet and XMM LTE modems. The partnership between Intel and Waymo was cited in a blog post by Brian Krzanich in September. At CES 2018, Intel disclosed that its Mobileye next-generation aftermarket collision avoidance system is capable of "collecting dynamic data to make cities smarter, safer and Autonomous Ready." The city of Dusseldorf, Germany is expected to equip 750 vehicles with Mobileye 8 Connect to investigate the suitability of Dusseldorf’s existing infrastructure for autonomous vehicles and connected driving. The project is funded by the German federal government. London black cabs will be fitted with Mobileye 8 Connect to create an HD map of the city. Gett, a start-up working on mobility solutions, will equip approximately 500 London black cabs this year. New York City will also get an HD map based on Mobileye crowdsourced data. Buggy TLC Leasing, which provides leasing of vehicles for ride-sharing services such as Uber, is expected to outfit approximately 2,000 New York City-based vehicles with Mobileye Aftermarket.